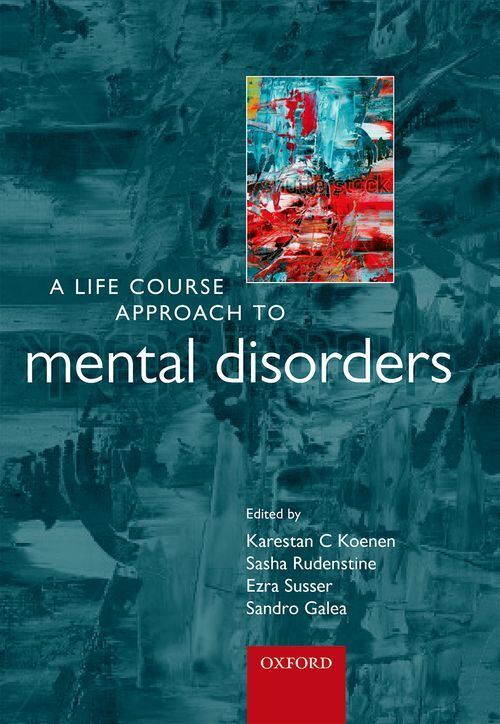 A Life Course Approach to Mental Disorders examines the interplay of social and biological factors in the production of a wide range of mental disorders throughout life, from the peri-natal period through to old age. The aging into adulthood of numerous birth cohorts, especially over the past twenty years, has provided increasing evidence that mental disorders previously perceived to emerge in adulthood may have their origins early in life. This book brings together, in a single resource, the research in life course epidemiology of mental disorders, forging a consensus on the current science and pointing the way forward for the field. Assembling researchers across disparate disciplines including epidemiology, developmental psychopathology, psychiatric genetics, sociology, developmental cognitive neuroscience, and epigenetics the book reviews the methods and synthesizes existing knowledge about the life course epidemiology of mental disorders in populations. It also presents discussions of the mechanisms that drive the production of mental disorders over the life course including emerging areas of research in the field. A Life Course Approach to Mental Disorders brings together the state-of-the-art science of life course epidemiology to inform training, research, practice and policy with regard to mental disorders. The first comprehensive articulation of a life course perspective in the area, it will be a key resource for academics, researchers and students. Dr. Koenen is a licensed clinical psychologist and epidemiologist. She is currently an Associate Professor of Epidemiology at Columbia's Mailman School of Public Health where she leads the Psychiatric and Neurological Epidemiology program. Her work uses a developmental approach to examine the interplay of genetic and environmental factors in the etiology of stress-related mental disorders, such as posttraumatic stress disorder and depression. For this work, she was awarded the Chaim Danieli Young Professional Award from the International Society for Traumatic Stress Studies and the Robins-Guze Young Investigator Award from the American Psychopathological Association. She has published over 170 scientific papers and co-authored several books including Treating Survivors of Childhood Abuse: Psychotherapy for the Interrupted Life with Drs. Marylene Cloitre and Lisa Cohen. ; Dr. Rudenstine is an early-career investigator. She is interested in how genetic and environmental factors affect the manifestation of psychopathology over the life course and in how determinants at multiple levels - individual, network, and community - influence the prevalence, trajectories, and treatment of mental disorders globally. She received her Ph.D. in Clinical Psychology from City University of New York. ; Ezra Susser is Professor of Epidemiology and Psychiatry at Columbia University. He is Director of the Imprints Centre for Genetic and Environmental Lifecourse Studies, and co-founder of the Global Mental Health Program at Columbia University. Much of his work has focused on neurodevelopmental disorders (ND) across the life course, including but not limited to autism and schizophrenia. He has studied early origins and prevention of ND, cross cultural differences in incidence and course of ND, improvement of mental health research and services for individuals with ND in low- and middle-income countries, and improvement of services for the most disadvantaged individuals with ND in high-income settings such as New York City. He is lead author of the only contemporary textbook (i.e. not edited chapters) on psychiatric epidemiology; won the 2011 Rema LaPousse Award for outstanding contributions in psychiatric epidemiology; and was in 2012 President of the American Psychopathological Association. ; Dr Galea is a physician and an epidemiologist. He is the Anna Cheskis Gelman and Murray Charles Gelman Professor and Chair of the Department of Epidemiology at the Columbia University Mailman School of Public Health. Dr Galea's research program seeks to uncover how determinants at multiple levels including policies, features of the social environment, and genetic factors-jointly influence the health of urban populations. His work has documented the mental health consequences of mass trauma and conflict worldwide, including Hurricane Katrina, and the American wars in Iraq and Afghanistan. Dr Galea has published more than 400 scientific journal articles, 50 chapters and commentaries, and 7 books. Dr Galea serves as chair of the Community Services Board of the New York City Department of Health and Mental Hygiene and on the New York City Health Board. He is also president of the Society for Epidemiologic Research and a member of the Institute of Medicine of the National Academies of Science.